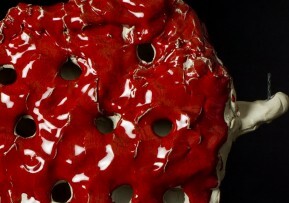 Jeremy and Patia are currently exhibiting recent work at the new Contemporary Ceramics Centre in London. Contemporary Ceramics is newly situated in the heart of Bloomsbury, opposite the British Museum, a must visit for pot-lovers. It is the gallery arm of the CPA, the Craft Potters Association of Great Britain, of which Patia is a Professional member, and Jeremy a Fellow. There are many perks to joining the Association as an Associate member. For more information on this click here on CPA. If you are planning a visit to London, don’t miss a trip to the gallery. It consistently shows an excellent cross-section of studio ceramics. 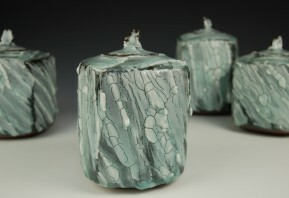 For more information on the gallery click here on Contemporary Ceramics. Led by Jeremy Steward and Patia Davis, the pottery at Wobage Workshops is delighted to introduce it’s teaching programme for 2012, which this year expands with the introduction of some brand new courses. Large-ware thrower from Norfolk, Stephen Parry, guests alongside Jeremy Steward on a five day ‘Big Improvers’ course, focusing upon extending student skills in advanced wheel-throwing. This will begin with techniques in single piece throwing and moving on to various methods of multi-part throwing and assembling. Matthew Blakely guests alongside Patia Davis for demonstration and lecture in wheel-thrown porcelain. Alongside one to one tuition, Patia and Matt will each demonstrate their softly thrown and altered porcelain, carefully scheduled into the 5 day curriculum to assist with student’s own creative progress and evolving skill base. Matt, a fervent glaze wizard, with also be presenting students with a practical approach to making and developing their own glazes for high-firing. 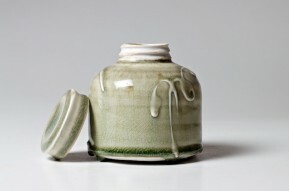 Guesting on Jeremy’s 5-day Jug making this year is Nigel Lambert. 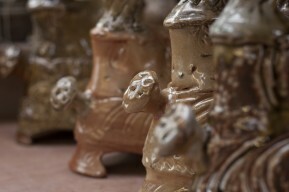 Nigel’s slip-decorated wood-fired earthenware is fast earning him international recognition. HIs thrown and altered beaked jugs possess a majestic poise. Set with his inimitable style of decoration and strong sense of function, they are a joy to behold. Wobage is most looking forward to his contribution in tutorial and demo. Each course invites a maximum of 8 students, each with their own power wheel for the duration of each course. These are predominantly Rayefco, but also Alsagers and Shimpos. Each Rayefco is now fitted with a hand control lever for foot free throwing and decorating. This will come into it’s own during the ‘Big Improvers’ course this Summer. Courses are carefully designed individually, revolving around specific areas of production and student creative development. There is opportunity to work with different clays, stoneware, earthenware and porcelain, depending upon the focus of the course and the tutors assigned to it. Dual emphasis is focused upon developing skills alongside experimentation and strengthening individual expression. Regular demonstration and visual presentation feature in each course, however we aim to offer students as much time as possible for their own making. Courses begin at 10am on the first morning, completing at 4pm on the last day. Tuition hours are otherwise 9am – 5pm. Delicious home-made vegetarian lunches, along with morning and afternoon refreshments are included in prices. Christmas gift vouchers for all of our individual courses are available, either for deposit only, or the full course balance. Please use the booking/availability section of this website. The Wobage makers warmly invite you to our Christmas Exhibition. Please join us for a browse and a home-made mince pie and fresh cup of coffee or tea. The pies are warm and delicious! On display is a range of new work from all of the makers, with plentiful gift ideas for Christmas across a range of prices. This includes a selection of fantastic pots, hot from the many Wobage kilns, including new candle-holders from the potters. 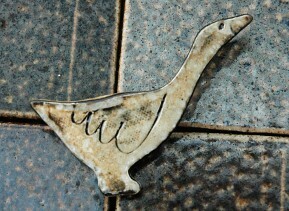 Also a new delivery of pots and tiles from Andrew and Clare McGarva in Burgundy, France. From furniture maker Ben Casson, new hors-d’oeuvres serving trays, applewood spatulas, his regular trays and laughing boxes in many combinations of native hardwood including fumed oak, ash and walnut. We have a wonderful new display of Clare Casson’s hand-dyed and embroidered indigo textiles, from large bedspreads to smaller throws. We most look forward to seeing you at Wobage on the weekends preceeding Christmas. The gallery is open Thursday – Sunday, 10am – 5pm. If you would like to meet up with one or more of the makers themselves to discuss a particular item or to make a commission, please e-mail using the contact form of this website or phone in advance. 01989 780495. In addition to his selection of sculptural candle holders now on display as part of the Wobage pre-Christmas exhibition, Josh is also displaying new pots in a few different venues. He is now stocked at European Makers Gallery, Amsterdam. A selection of his mugs and bowls will be on display during the Christmas exhibition at The Sho, a contemporary art and design gallery on Albany Street, Roath in Cardiff. November 25th – Christmas Eve. On December 3rd-4th Josh features as a special invited guest at Kate Malone’s open studio exhibition, Ball Pond Studios, Hackney, London. He will be showing small and large scale work, alongside a selection of makers who have helped Kate Malone with the production of her own work.